Happy New Year everyone, I thought I would share this article as I feel it is very important and is seriously being overlooked. E-cig fire hazard that must be addressed as soon as possible. By November 2014, e-cigarettes were starting one fire per week. Those charged with health and safety management are overlooking the risks associated with e-cigarettes, because current British no-smoking legislation does not include them, making them seem harmless. to consider e-cigarettes as part of their fire risk assessment. Whilst there were only eight blazes caused by e-cigarettes in 2012, there were 43 in 2013 and 62 in 2014. These figures are most probably highly conservative, as many fires caused by e-cigarettes go unreported. There have already been two deaths in fires caused by e-cigarettes and serious incidents in August 2015 (house fire in Newport and fire in a locker at offices in Sutton Coldfield) and October 2015 (blaze at a student house in Bangor and a fire in hand luggage on board a Boeing 737). Over two million Brits now use e-cigarettes and UK vaping sales are more than three times those of nicotine replacement sales. The UK is the second largest market for vaping devices in the world and latest figures show domestic vaping sales increased by 75 percent in the UK (£459m)*. E-cigarettes operate through a battery-operated heating coil that gently heats a nicotine liquid that then vaporises. The batteries that heat the coil are rechargeable lithium ion batteries that catch fire when overheated, damaged and defective. Additionally, if you plug an e-cigarette, which doesn’t use much current, into a charger that uses a lot, the device will heat up and spurt harmful acid out of one end when the battery fails. If you are a landlord it is an absolute must that you protect your tenants against the potential risk of fire and carbon monoxide poisoning. Statistics show that tenants and people living in shared accommodation are seven times more likely to have a fire. It can be expensive and disruptive to your property to have interlinked smoke detectors fitted as they need to be channelled in, floorboards removed or have ugly plastic trunking fitted everywhere. If you don’t know what ionization and optical means (does your electrician know this?) then it can be confusing too. 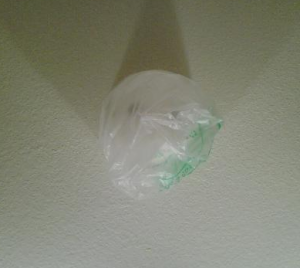 This confusion attributes to false alarms, detectors being covered or even removed altogether by tenants. There are interlinked smoke alarm systems out there that can simplify choice and make installation of fire systems a whole lot easier without the disruption and mess of having the standard wired in systems. They use a technology called Thermoptek – the very latest in optical sensing and thermal enhancement providing fast reaction to both slow and fast burning fires. These systems are up to the current fire regs standard and only need to be wired in to the lighting circuit once on each floor as the rest of detectors will link wirelessly with Wi safe 2 technology. 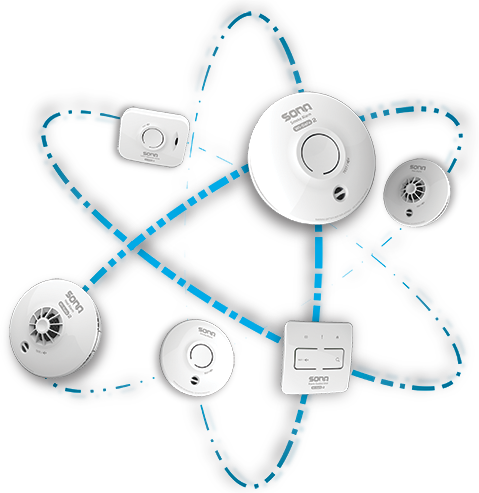 Up to 50 detectors can be linked in one network. Each detector unit is fitted with a 10 yr sealed for life battery which will give you peace of mind knowing that all the alarms will work in the event of a power cut plus will also ensure empty properties are protected too. This technologically advanced interlinked smoke alarm system will also save on energy as there is less power needed to run them thus saving you on your energy bills too. Firstly I will tell a story of what happened when I carried out a fire risk assessment review on a large country home/hotel incorporating holiday lets. I was contacted just before Christmas by a health and safety company who I have carried out fire risk assessments for them in the past. They asked if I would do a review of one their own fire risk assessments which was carried out the year before by one of their consultants. A review is where you check to see if the previous action plan has been actioned on and at what stage they are at, I also I need to put my fire risk assessment hat on too so if I spot something that wasn’t picked up before or has happened since the last fire risk assessment was carried out then I need to tell them about that too and include it in my report. It is not a full fire risk assessment. Since the last time the fire risk assessment was carried out , I found the below deficiencies. Two fire doors in the kitchen area had no intumescent strips (they had somehow fell out) , these help seal the door in a fire and help prevent the spread of smoke and fire. Kitchens are a high risk area and any deficiencies in fire safety could put the premises and people at risk. A fire door in one of the corridors didn’t close at all – this compromised the protected route. A recently installed fire door had been incorrectly fitted, the gap between the top of the door and the frame were well above the 3mm standard and was approaching nearly 7mm – the intumescent strips won’t work correctly if above 4mm which is the max permitted gap. The electric cupboard had holes in the brickwork and ceiling where electrical cables pass through, these hadn’t been fire stopped still. A completely new electric cupboard hadn’t been picked up from the previous fire risk assessment, inside this there was a stool and table – all electric cupboards/services should be free of any combustible materials. 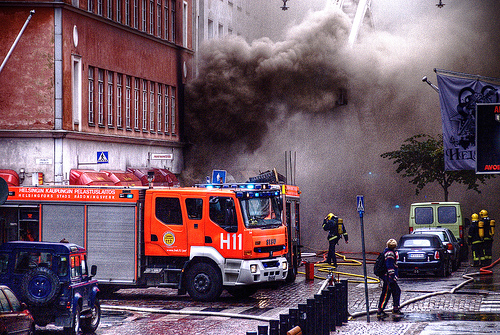 What if this fire risk assessment review was done every two years instead of annually? Would the problems double? What about the paying public and staff safety? 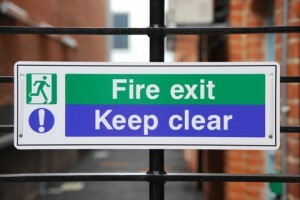 How many companies review their fire risk assessments annually or if ever? So my question is: When was your last fire risk assessment review? Malton Jockey deaths Landlord sent down. A few years ago a couple of horse jockeys died in a fire in a block of flats in Malton. The caretaker, of Brotherton, North Yorkshire, started the fire in a drunken act of revenge after being refused entry to a party, his trial at Leeds Crown Court heard in December 2010. He lit rubbish which had been left in the communal entrance to the Tannery flats. The fire quickly took hold as the stairwell acted like a chimney, forcing many of the occupants to jump from the building or climb down drainpipes. Unfortunately the two young jockeys were unable to escape due to being on the top floor. The caretaker was convicted of manslaughter and sent to prison. The Landlord from Norton, pleaded guilty to breaching four fire safety regulations. He has been jailed for 12 months. Leeds Crown Court heard that the landlord had stored combustible materials under the communal stairs to the flats. He had also failed to do a fire risk assessment. Two years after the fire he breached the same regulations at a different property. Please don’t let this happen to your business by getting a fire risk assessment done by ourselves you could help prevent tragedies like this happening. For the sake of £197 is it really worth risking it! The Malton deaths is such a tragedy that could have been averted, my heart goes out to the families of such a disaster. Unfortunately, a landlord who didn’t start the fire will be going through hell I would imagine right now. It is such a shame that someone who didn’t start the fire has the deaths of two young people on his hands. He is due to be prosecuted in May for failing to carry out a fire risk assessment of the the flats at Tannery flats on Buckrose Court. You can see the full story here. Under the Regulatory Reform (Fire Safety) Order 2005 it is by law that you must carry out a fire risk assessment should you employ more than five people however this also applies should you be a landlord or you are a “responsible person” for HMO’s. Caution, should you fail to have a fire risk assessment done you could get prosecuted by the Fire Service don’t let this happen to you. Get one done for a from only £197. Have you been in a situation when a fire alarm company states that you need to have an automatic system with smoke detection or that you think you need one. Does this ring a bell? pardon the pun. 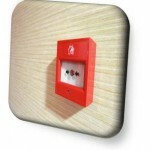 What the fire alarm installation companies do is that when a customer has a requirement for a fire alarm. They put in the highest level of cover they ‘think’ is appropriate e.g. L2, L3 or in some extreme cases L1. *However in hotels, guest houses, b&bs and where there are sleeping occupants in the business premise then an L1 or L2 systems are needed as stated in BS5839 code of practise. This is because they are making sure that they cover themselves first against any repercussions that could happen from the result of putting in a lower category system e.g.. M (manual system) system or a L4 automatic system. 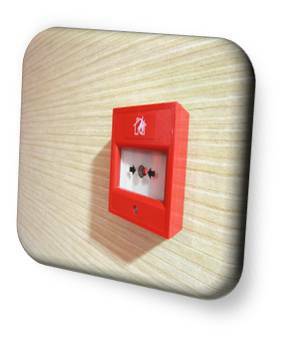 However if the company had a fire risk assessment done first correctly by a competent fire risk assessor who is qualified – sometimes a manual system is sufficient and only minor alterations (if required at all) to the the building are needed, like putting vision panels in rooms that are known as ‘inner rooms’. An automatic fire alarm system could costs 3-4k (being very modest here) against a fire risk assessment which costs £300 plus around £500- £1000 (depending on how many rooms) for the installation of vision panels. I wasn’t the best at maths in school but I know which one is less expensive without doing any calculations and you are still abiding by the Regulatory Reform (fire safety) Order 2005 and making your building safe. Of course you will also be cutting down on your servicing costs too! I hope you have taken something from this and in turn has helped your business save money. 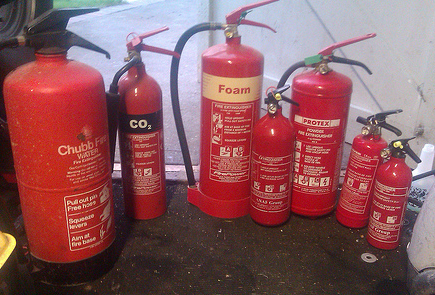 Does your business have too many fire extinguishers? Many businesses are looking to cut costs these days, as are you probably and one way to help you save money is to reduce the amount of extinguishers in your premises. You were probably told by your current or previous fire company that you need another extinguisher in some place or that you do not have enough on site. Well I want to give you some advice on this, as I have worked for many fire companies and what seems to happen is that the engineer or salesman is on either commission or bonus to sell these to you. Initially you may think that what’s an extinguisher here or there, the thing is they soon add up and the additional cost of servicing these too can work out very profitable for the fire companies. How do I know if I have too many? Extinguishers need to be placed on fire exits. Where there is an area of high risk they need to be placed to avoid confusion on which type of extinguisher to use. The walking distance between each extinguisher should not exceed 30 metres. If more than one floor, all the above applies except fire exits in which the following applies – where the corridor meets an enclosed staircase an extinguisher should be positioned. There is a formula you could use too for say a large warehouse type building or any building for that matter. The formula is very simple to understand. For e.g. your building measures 80m x 40m = 3200 square metres. 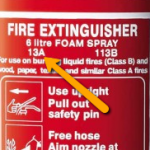 Say you have extinguishers that are 13A rated (this information is found on the extinguisher) – 9 litre water extinguishers and 6 litre foams are both 13A rated. 208 is the fire rating for the whole building. Just divide 208 by 13A and that will give you the amount of extinguishers required. 208/13 = 16 x13A rated extinguishers needed. 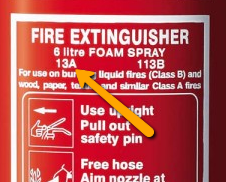 So for a 3200 square metre building 16 x13A extinguishers are required. 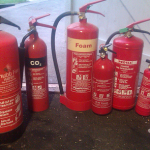 Under the change of BS5306 it is a must to have spare extinguishers on site – one of each type is ideal. I hope this has helped and saved your business some money.